With Double Glazing on the Web, it simply couldn’t be easier to get a free online quote comparing double glazing prices in your area. Free double glazing quotes for windows and doors. 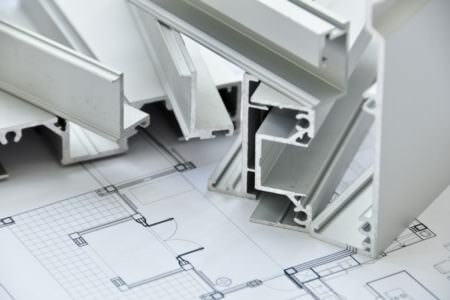 Quality aluminium and uPVC double glazing products. At Double Glazing on the Web, we work with a number of trustworthy and reputable installers based in Surrey. Our installers are dedicated to providing double glazing that will enhance your home and will meet the highest standards of performance. This means that when you use our online quoting engine, you receive a quote that compares prices from several different companies to ensure you get the best price. 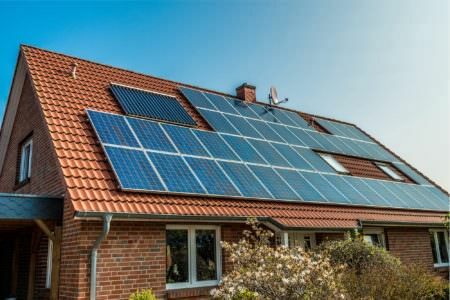 Your quote will compare prices from companies that operate in your area, so you can be sure that any installers that we feature will deliver to your home. Our featured installers are committed to providing high quality products and installations to homeowners in Surrey. Areas We Cover: Holmethorpe, Watercolour, Redstone Hill, Redhill Common (north) and Linkfield Street, Redhill Common (south) and St John’s, Shaw’s Corner. While double glazing is typically highly resilient and durable, sometimes accidents happen or things go wrong. Our installers offer repair and replacement services to ensure your windows and doors continue to look and perform at their best. Faulty locks, condensation and misting on windows as well as cracks and dents can often be repaired quickly and painlessly by one of our installers. However, if the double glazing unit is beyond repair, the installer will suggest that you get it replaced. We work with honest and trustworthy companies who would never suggest a replacement if they thought a repair would solve the problem. The average price for a double glazed window in Redhill falls between £350 and £400. However, the price of your windows will depend on a number of factors. These are: your chosen style, the required size, decorative features and finishes. For a 500mm x 500mm fixed casement window in white, prices can be as low as £150 per window. Alternatively, for larger, more ornate double glazing such as a 5 section bow window, prices can reach as high as £2300 for a 4000mm x 1500mm model with a woodgrain finish. Ultimately, you are sure to find new windows in Redhill to suit any home improvement budget. Double Glazing on the Web is committed to making it easier for you to find double glazing prices online. Our online quoting engine allows you to receive uPVC window prices from reputable installers operating in Redhill. We also feature pricing guide tables so you can get an idea of how much a uPVC window might cost at a glance. When you’re trying to get the best price for your double glazing, the most effective method is to compare several companies. This ensures that you aren’t paying more for something that another company is selling cheaper. 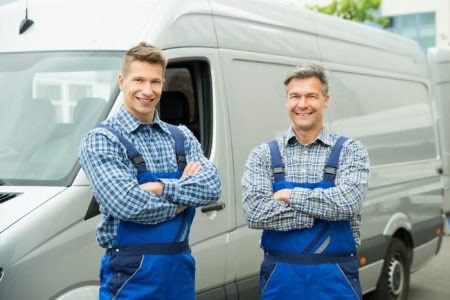 Our online quoting engine compares trustworthy companies operating in your area to ensure that you get the best price for the products you need. What Is Included In My Double Glazing Quote? Your personalised double glazing quote will provide a price for your windows or doors, but that isn’t all that’s included in the quote. Installation, surveying, warranty, VAT and compliance certification are all reflected in the price you are given. This is beneficial for you as it means that you won’t be provided with a quote that simply reflects the price of the window itself, only to be surprised when the installation and surveying etc means that the price is higher. We do work with supply-only double glazing companies, whose quotes, naturally, will not include a surveying or installation price. Quotes from these suppliers will include VAT and perhaps a warranty and certificate of compliance. Providing high quality, supply-only uPVC windows and doors throughout Brighton, Tonbridge, Surrey and Redhill since 1989, Britannic Windows & Doors are one of the UK’s leading suppliers of uPVC double glazing. Britannic are proud of their prices, their efficiency and their quality and their large base of happy customers is testament to that. Britannic offer the incredible Liniar six chambered profile for windows and doors, so you can be sure that your double glazing will retain heat excellently and be incredibly secure. Britannic’s products meet the highest standards of quality at prices you’ll love. 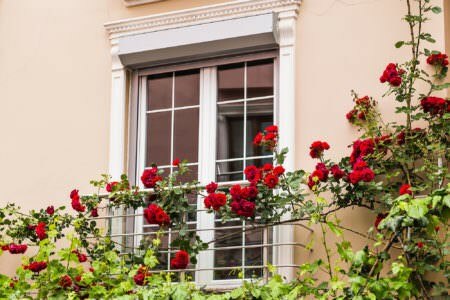 Should I replace my old sash windows? Sash windows are a key feature for many traditional period buildings. Sash windows were traditionally built using timber, which is fairly high maintenance and has a tendency toward rotting and warping. Over time, these windows can become draughty and insecure. uPVC sash windows are a great way to experience the benefits of modern double glazing, without sacrificing the aesthetic of your home. uPVC sash windows will not rot or warp and require little maintenance. They are also thermally efficient, which means that your home will not require as much heating. Composite doors are a great alternative to traditional timber doors and offer unparalleled thermal efficiency, security, durability and thermal performance. They are also extremely weatherproof. Composite doors consist of an insulating core that is designed to keep warm air trapped inside your home, while keeping cold air outside. 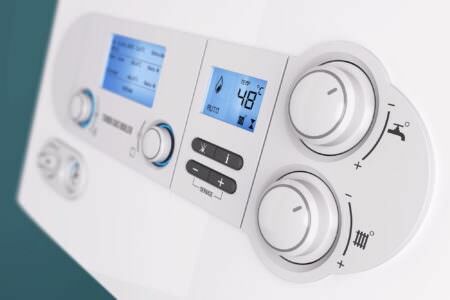 This can save you a significant amount of money on your heating bills over time. The insulating core is covered with a durable and hard wearing skin which makes the composite door extremely rugged and weatherproof. Composite doors are available in a range of colours and can be customised further with decorative glass and practical additions such as cat flaps. As composite doors are a top of the range product, prices do start high. 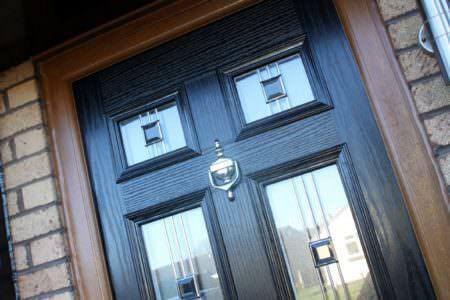 Prices for composite doors begin at £1000, increasing to £1500 depending on your choice of glazing. However, if this fits into your home improvement budget, the composite door is a fantastic addition to any home. How much does it cost to double glaze a 3 bed house? On average a double glazed window will cost between £350 and £400, with a uPVC door typically costing £600. This means that double glazing a 3 bedroom semi can cost between £3500 and £5000. The prices given in our pricing tables, our online quotes and our costing calculators reflect the price of the window itself as well as the cost of installation. For example, a 500mm x 500mm casement window will cost between £150 and £175 including the cost of installation. What Is The Difference Between French Doors and Patio Doors? Patio doors originally related to the style of door that slides open but now has become a blanket term for other doors including French doors. French doors are hinged doors that swing outwards and, when open fully, allow access to all the space of the installation. Why Is uPVC Used For Window Frames? UPVC is used for window frames because it strong, durable, energy efficient and long lasting. 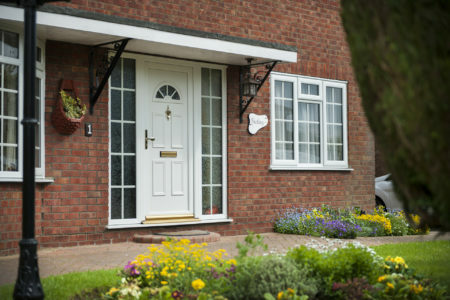 Are Composite Doors More Expensive Than uPVC? Typically, yes. A composite door is more expensive than its uPVC counterpart due to the nature of how it is manufactured. Please refer to our pricing guide below to see the difference. How Long Does It Take To Install a Composite Door? It will take one or two installers between three to four hours to install a single composite door. A composite door has the aesthetic of a wooden door, however, it has the practicality of a uPVC door meaning it will not warp like traditional timber. A composite door is very strong and secure as it is made up of uPVC, wood, insulating foam and glass reinforced plastic. Is Double Glazing Easy to Break? No, double glazing is not easy to break which means your home will be more secure. When attempting to smash double glazing often what happens is that the first pane of glass and the second will remain intact. This is due to the argon gas working as a shock absorber. This will mean the smash is very loud but unsuccessful on the first attempt. Double glazing helps make your home more energy efficient as it prevents the loss of heat. During the summer, it helps to keep the heat out of your home. It provides your home with sound insulation which is perfect for houses that are in busy areas and streets. Double glazing also makes your home safer and more secure. It is important to note that the argon gas that separates the panes of gas, giving double glazing its energy efficiency will eventually leak out overtime. Double glazing has an average life span of about 20 years, however, this can vary depending on materials used and the installation. How Long Does It Take To Install A New uPVC Window? Once you place your order for a new window, it takes 4-6 weeks to build and manufacture the product. On the day of installation it could take anywhere from 3 hours to a whole day, depending on size, shape and style of window. How Do I Know If My Double Glazing Needs Replaced? Double glazing will need replaced after a while due to the nature of the design – the gas that separates the two window panes slowly leaks out over time meaning the energy efficiency of your window is compromised. If your double glazing allows cold spots; water to seep through the frame; has cracks or chips in the window or has a build-up of condensation between the two panes of glass (misted windows), you should probably look into getting your double glazing replaced or repaired. How Long Does It Take To Install A Window? From the moment you purchase your window it will take anywhere between 4-6 weeks to build and manufacture your window for you. The actual installation itself could take anywhere between 3 hours to a full day. Should I Double Glaze My Windows? Double glazing works to make your house more energy efficient saving you money on your heating bills. Double glazing also provides sound insulation which is perfect if your house is situated near busy roads and noisy areas. Double glazed windows are also tougher and harder to break than single glazing windows making your house more safe and secure. What Can Cause Double Glazing To Crack? Double glazing can crack for what appears to be no particular reason at all. A sealed window unit faces constant pressure either side of the glass, however, most of the time double glazing is strong enough to deal with this. Winter can be one of the worst time for cracked glass as the difference of temperature on either side of the glass stressing it to the point it can crack. Can My Windows Be Installed In Cold And Rainy Weather? Yes, windows can be installed in any weather, however, it is important to remember the safety of the installers who come to put in your window and that the rain could damage things your property due to the fact there will be a hole in the wall for quite some time during installation. No, uPVC isn’t flammable and is actually a fire retardant. How Long Does It Take To Install uPVC Windows? On installation day, a uPVC window will take anywhere from 3 hours to a full day depending on the shape, size and style of the window. When you place your order, it will take anywhere between 4-6 weeks to build and manufacture the parts for your bespoke window. How Do I Know If My Double Glazing Needs Repaired? There are four tell-tale signs that your double glazed windows need repair or replaced: There are chips and cracks in the panes of glass; there is condensation (misted windows) between the two panes of glass; the window allows cold air through; water begins to seep through the frame. If your double glazing does any of these things, you may need to get your double glazing repaired or replaced. Does Double Glazing Block Sound? Double Glazing not only provides heat insulation but it also provides sound insulation too. Double glazing is perfect for houses in busy areas and streets. Double glazing makes your house more energy efficient, keeping heating in and keeping the cold out during winter months. During summer months, it helps keep the hot air out, keeping your house cooler. It also works to insulate sounds from busy areas and roads, leaving your house more peaceful and quieter. Are composite doors cheaper than uPVC? Composite doors are usually more expensive than uPVC doors. 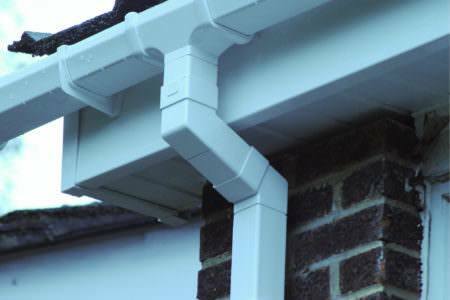 This is because they are made from a number of materials rather than just uPVC plastic. They will often have a wooden internal frame and insulating filling. They emulate the traditional look of wood and are available in a multitude of styles and colours. uPVC door are generally cheaper but are a good durable and low maintenance option if you are on a budget. Which front door material is best? There are several options when it comes to front door materials. The three most popular are wood, uPVC and composite. The material you choose will depend on what you are looking for. Wooden doors tend to be more expensive but offer a traditional style. In some instances, such as on listed buildings and in conservation areas it may be a requirement that the front door is wooden. uPVC doors are a cheaper option. They are energy efficient and durable but lack a traditional appearance. Composite doors are perhaps the best of both worlds as they are durable, low maintenance and replicate the traditional look of timber. How much does a cheap door cost? A cheap uPVC door can be as little as £500, especially if you are looking for a back door. Front doors tend to be more expensive than back doors and cheap ones will start from around £600. Cheap composite doors usually start from around £800 to a £1,000. The locking system and glass options you choose will also affect the price of the door. How much should you spend on a front door? The amount you spend on a front door will depend on the type of door you are looking for. uPVC front doors are generally cheaper than composite doors and can cost as little as £600. Composite doors start from around £800 to £1,000. If you choose more bespoke glass option or door accessories you can pay as much as £1,500 to £2,000. We recommend getting a number of quotes to see the different options that are available and compare front door prices. The price of a new front door will depend on the type and style of door you choose. The cost of a replacement uPVC front door can be as little £600 or as much as £1,200. Composite doors can start from around £800 but can cost around £1,500. The type of glass, extras and locking system you choose will affect the price of a front door. Get an online quote for uPVC front doors and composite doors to get a good indication of the cost. Double glazing is a strong option for windows compared to single glazing. The frames are durable and there are high security locking options. As double glazing is made from glass it is possible to break however you will have to exert quite a bit of force to do this. This is practically impossible to do without making a noise. Double glazing can be an affordable addition for many homeowners. The price you pay can depend on the quality of the windows and the energy ratings. Other factors are the style of the windows, the colour of the frames and the type of glass. Why not get an online double glazing quote to get an idea of the price. What is the average cost to double glaze a house? The average cost to double glaze a house will depend on the size of your house and the number of windows. To double glaze a flat or apartment it will probably cost around £2,000. 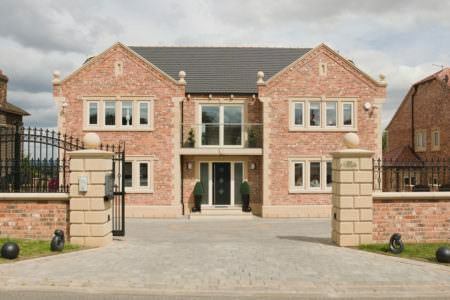 The average cost to double glaze a house is usually between £4,500 to £7,500. If you collect a number of double glazing quotes you will be able to compare companies and prices. How much is double glazing per window? Double glazing prices per window can vary from around £150 to £600 depending on the specification. The window style, type of glass, frame colour and handles are all contributing factors. To find out the true double glazing price per window it is a good idea to get a number of quotes to compare. What Makes Flush Sash Windows Different? Flush sash casement windows are specifically designed to imitate the appearance of traditional wooden timber windows by appearing to have the same sashes that finish 'flush' with the outside face of the window. Can Bay Windows Look Modern? Bay windows can easily be either modern or traditional depending on the combination of glass and / or coloured uPVC profiles now available. Subsequently, its easy for these windows to seamlessly blend in with contemporary or old properties. Simply put, it really depends! Bay windows offer often much welcome and useful extra storage space to the frontage of homes. On the other hand, bow windows provide a curved shape alternative in terms of look compared to bay windows. 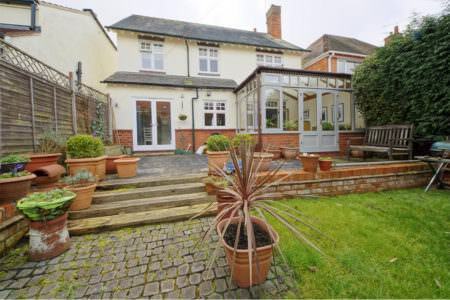 They are both beautiful options and can add much character and charm to the right property. How Do Sliding Patio Doors Work? 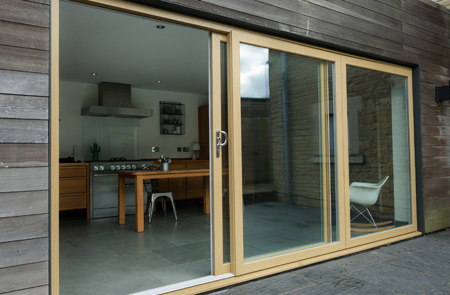 UPVC sliding doors operate on a smooth, easy glide system which allows for effortless transition. They are attached to metal or vinyl tracks which are fitted to the top and bottom frames and plastic rollers are added to ease the movement. 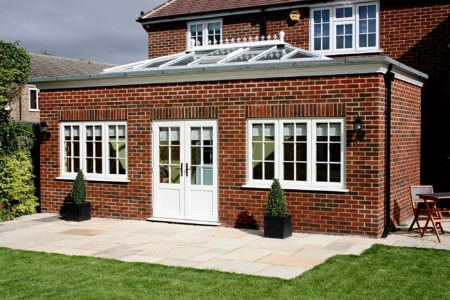 Do I Need Planning Permission For Patio Doors? You may require planning permission for double glazed patio doors if you have a listed building or happen to live within a conservation area. Visit the V for more information. Are UPVC Patio Doors Secure? UPVC patio doors can be fitted with a choice of high security locks to make them extra secure. 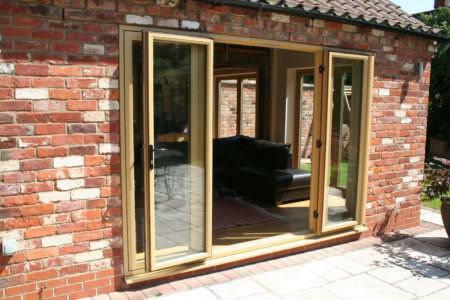 You can also choose from a range of glazing styles to further enhance the strength of your patio doors. How Much Do UPVC French Doors Cost? UPVC French door prices will depend on your personal requirements and specifications such as size, style and glazing. To get an average French doors cost use our door cost calculator for a free online quote. Are UPVC Stable Doors Made To Measure? Your UPVC stable door will be made to measure and tailored to your specifications given to your double glazing installer. What Do Stable Doors Look Like? These country style doors offer charming aesthetics and are a stylish alternative to standard back doors, stable doors a great choice for any kind of property. This door is split in two halves which open independently from one another as well as function as a whole. Whether you are after a traditional stable door or more contemporary design with modern glazing, your double glazing installer will be able to offer you a wide range of options for your property. The cost of a composite door will be dependent on several factors such as the composite door style, composite door colour, size, composite door hardware and composite door security extras. The fastest way to get a composite door price is online with our door cost calculator. Is Every Composite Door Different? There are different qualities to every composite door and they will vary between manufacturers depending on materials used. At Double Glazing on The Web we only put you in touch with the highest quality suppliers and installers. Can I Get Composite Side Panels? Composite doors are available with matching composite side panels, your installer will offer you a choice of colours and glazing. A composite door will not warp like wood and won't require regular painting. Do Composite Doors Need Painting? Composite doors do not require re-painting. These low maintenance doors feature a water resistant GRP, coloured skin which keeps a pristine appearance year after year. Composite doors feature a tough and durable skin where colour runs throughout rather than a simple surface coating. This means a composite door is not likely to wear or fade like the majority of painted doors. A composite door is very long lasting which also reduces the amount of maintenance required to keep it looking in top condition. Composite doors are made of a combination of high performing materials which is why they are so strong and incredibly long lasting. The composite door is made from: reinforced UPVC, fibreglass skin, high density foam and a water resistant composite materials. Do You Do Replacement Front Door Locks? The majority of our double glazing installers do provide replacement front doors and replacement front door locks. Please call one of our advisors on: 0800 015 5679. Can I Have Front Doors With Glass? Entrance doors come in a wide range of designs for your home, including a choice of side panels and glazing. Your double glazing installer can offer you a range of front door designs with glass. How Much Do Double Glazed Sash Windows Cost? UPVC sash window prices will vary according to glazing style, your choice of locks and even your chosen colours and finishes. You can get an average sash windows cost using our window cost calculator. If your home is a listed property or within a conservation area then you will need to seek planning permission. Why Should I Choose a UPVC Sash Window? UPVC sash windows are incredibly attractive and make a stunning addition to any property and are relatively low maintenance thank to their UPVC design. You can enjoy a traditional aesthetic for many years to come thanks to their long standing properties. Are UPVC Sash Windows Easy To Use? UPVC sash windows are very easy to use. Their spiral balance mechanism allows for smooth operation so you can open and close your windows with ease. UPVC sash windows are also incredibly low maintenance and require very little cleaning. How do UPVC Sash Windows Work? 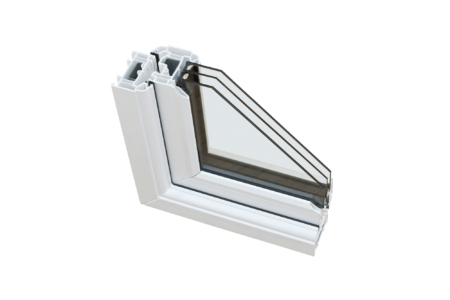 UPVC vertical sliding sash windows are built to either slide vertically downwards or upwards. This opening function makes the UPVC sash window much easier to use compared to traditional wooden windows where the only choice is double hung and single hand. How Much Do French casement windows cost? How Does The Tilt and Turn Window Mechanism Work? The tilt and turn window can be ‘tilted’ inwards due to its unique turning action which allows the window to be easily accessed from both inside and out. All it takes is a swift turn of the handle. Where Can I Get A Tilt and Turn Windows Price? You can get a tilt and turn windows price using our window cost calculator which will give you a free and unique quote within a matter of minutes. A casement window is attached to its frame by one or more hinges. A casement window is hinged at the side allowing them to open extremely wide. These windows can double up as emergency exits and are perfect for hard to reach places within the home, with many home owners installing these windows behind their kitchen sinks. Can I Choose My Casement Window Handles? Your double glazing installer will offer you a choice casement window handles and casement window hardware options so you can achieve the perfect look. 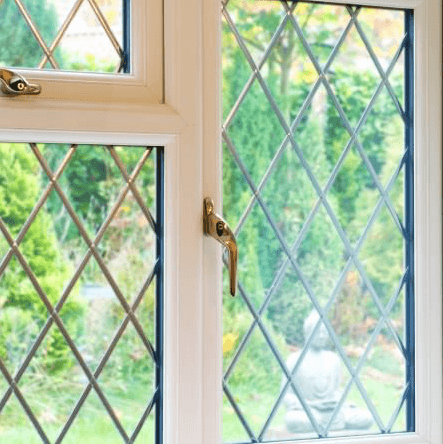 Are There Different UPVC Casement Window Sizes? UPVC casement windows come in a wide range of sizes to suit your property. You can specify your casement window size in our window cost calculator to get a unique window price! What Are Flush Casement Windows? Flush casement windows are where the unit sits flush to the frame, creating a super sleek look. Will I Have A Choice of Casement Window Locks? A high security lock will be fitted as standard with your new casement window but your double glazing installer will also offer a choice of security upgrades. Are There Other UPVC Casement Window Styles? Other UPVC casement window styles include the French casement window which is a more traditional take on the standard casement style. How Can I Get Casement Window Prices? You can get instant casement window prices by using our free online quoting engine or you can contact us on: 0800 015 5679 to speak to one of our advisors. How Secure Are Bi-Folding Doors? 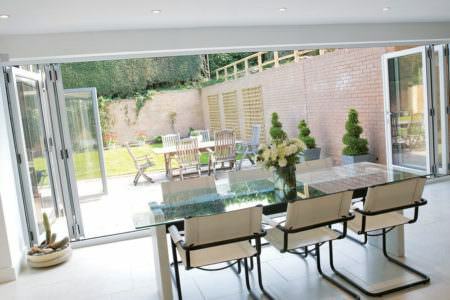 Bi-folding doors are extremely secure and are built with a high security locks as standard. Each of our double glazing installers will offer their own range of locking systems with additional upgrade options for all security conscious homeowners. How Long Does It Take To Install Bi-Fold Doors? 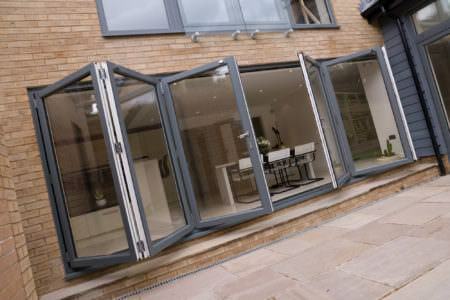 If a survey is scheduled within 48hrs then your bi-fold doors can be supplied and installed within just 6 – 8 weeks. Which Bi-folding Door Configuration is Best? When choosing the arrangement of your bi-folding doors you need to consider the size and layout of your room. Outfolding bi-fold doors will take up less internal space when completely folded back and a left of right folding will be dependent on space available in your room. How Long Will It Take To Install My Casement Window? Because every job is different, it is best your talk to your double glazing installer who will be able to give you an exact timescale. If I Use Double Glazing on the Web Who Will Fit My Double Glazing? Double Glazing on the Web have a fully accredited network of local installers. 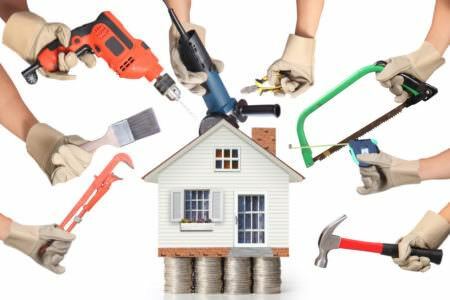 Once you have created your free online quote we will put you in touch with up to three reputable local suppliers. Each of these suppliers will offer you a free no obligation quote and who you choose is completely up to you. What Colour Options are Available? There is a wide range of colour options available including both standard and bespoke colours and finishes. Aluminium windows and doors even come available in a RAL colour chart which gives you an infinite choice. Do UPVC Windows Need Trickle Vents? Trickle vents are not a requirement, however they do offer additional ventilation without the need for opening your windows so can be a valued add on. 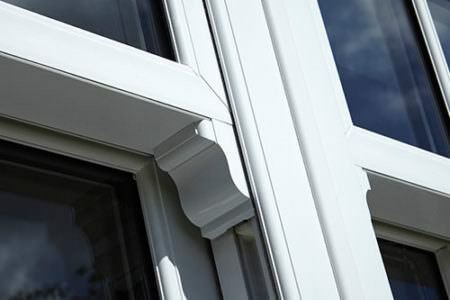 UPVC is an abbreviation for unplasticised polyvinyl chloride which is used in window frames. Do UPVC Windows Look Cheap? UPVC windows do not look cheap. They can be designed to offer slim sightlines and come in a wide variety of colours and finishes, not just the standard white. Authentic woodgrain finishes are available to achieve more of classic look. Your UPVC window will never rot, rust, peel or flake due to its long lasting material. An occasional wipe clean is all that is required. How Much Do Doors Cost? Your double glazed door cost will depend on specifications such as style, size, locks, glazing and door furniture. Double Glazing on The Web gives you the opportunity to create your very own unique door quote online. Start your free door quote today. Can Double Glazed Doors be Fitted with a Pet Flap? Depending on the style of door, a pet flap can be fitted as an extra service. The only exception is when glass panels feature on the lower half of the door. Are Double Glazed Windows Good For The Environment? Once of the best ways of making your home more energy efficient is insulation. Double glazed windows act as another layer of insulation, helping to prevent the loss of valuable heat. Are Double Glazed Windows Soundproof? Double glazed windows are built to provide improved sound insulation. Double glazed windows are recommended for homes situated on busy roads or built up areas where external noise can be a problem. Double glazed windows feature two panes of glass for better heat insulation and noise reduction. Window frames come in a variety of materials such as UPVC, wood and aluminium. Double glazed windows also come in a choice of styles to suit your home, you can choose from a wide range of window designs which include the casement window, tilt and turn window, sash window, sash horn window and bay window. What Happens if I Have a Problem with my Windows or Doors? All of the double glazing installers in our network offer product guarantees. Provided you are still covered by your manufacturer's guarantee, all you need to do is contact the installer in question and they will either repair or replace your windows and doors. When moisture in the air suddenly cools and condenses on a cold window, you get condensation. Well insulated (Low E) double glazing will help prevent condensation from forming on the interior of your window. Replacement glass units or replacement double glazed windows are recommended for windows with condensation. How Does Double Glazing Work? Heat loss is greatly reduced using double glazing. Double glazing features two panes of glass with a layer of trapped air or gas in-between. Air is a poor conductor of heat so much less heat is lost through the window itself. Double glazing is where windows have two layers of glass with air tight gap between them to reduce loss of heat as well as provide effective noise insulation.